Blog Can You Punch a Heavy Bag Without Gloves? I get asked this question all the time by Boxers, Muay Thai, and MMA fighters. The honest answer is yes, you can hit a heavy bag with MMA gloves, hand wraps, or even without any type of hand protection at all. It’s actually considered beneficial in order to strengthen not only your knuckles but also your wrist and forearm muscles. The real question that we will be answering is how often should you hit a heavy bag without hand protection. I train on the heavy bag with minimal protection at least once a week and sometimes even more. Your typical heavy bag weights anywhere between 70 to 200 pounds, this is a lot of weight to be hitting without any hand protection. This is why it’s important to form proper technique before hitting any heavy bag without hand protection. We’re going to go over all of the various options you have for heavy bag training with minimal gear. If you are in the market for a heavy bag to train with at home, I highly suggest visiting our article on the Top 10 Heavy Bags for Muay Thai, MMA, and Boxing. Punching a heavy bag with MMA gloves is one of the first training techniques I ever did for wrist stability and to strengthen my punches. It was natural for me to hit the heavy bag with only MMA gloves because I’m naturally a Muay Thai and MMA fighter. It’s very common in an MMA gym to see fighters training with MMA gloves on a heavy bag. This is personally one of my favorite training techniques because good MMA gloves will properly stabilize your wrists and also protect your knuckles from bleeding. One thing I will recommend is to start out slow, even with MMA gloves for protection you can still injure yourself when punching a heavy bag. I only recommend hitting the heavy bag with MMA gloves a few times a week at most. I also recommend purchasing a good pair of MMA gloves that will fully protect your knuckles and wrist. I have a detailed guide available on finding the best MMA gloves for training and competing. 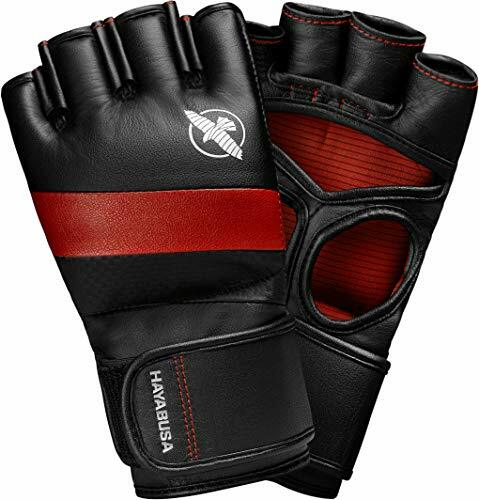 The Hayabusa T3 MMA gloves are the best MMA gloves for heavy bag training. 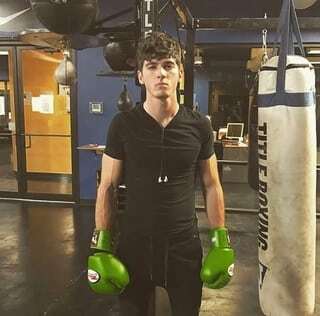 I personally own these gloves and train with them on the heavy bag and even use them for hitting a heavy bag on the ground as well for ground and pound training. They are perfect for fighters and athletes of all different sizes. The T3 includes a pre-curved design which helps reduce hand fatigue during heavy bag training. The Dual-X closure is unmatched when it comes to hand and wrist stabilization as well. Another underrated thing about these gloves is the antimicrobial lining which inhibits bacterial growth to minimize odor inside of these gloves. They are super breathable and offer superior stability and control when striking and grappling. The reason why every MMA fighter should own these gloves is because they can also be used for grappling as well. 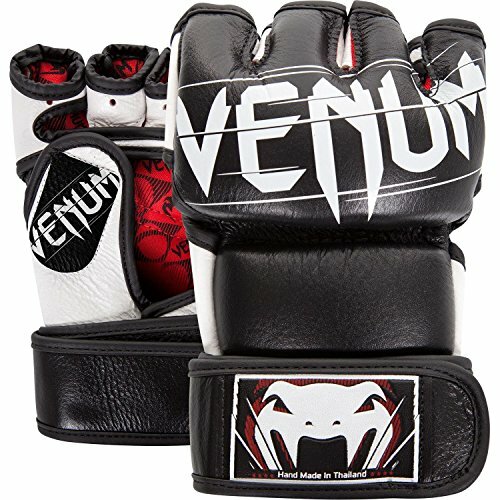 Venum Undisputed 2.0 MMA Gloves have been newly developed with a more comfortable and high-quality design. With a curved shape that conforms to your hand, these gloves give you a better fit for a powerful punch. The new closure system provides a better fit for all sizes and allows closure with one hand. These gloves are a great alternative training method if you’re a Boxer, Muay Thai, or MMA fighter. What I love most about the Venum Undisputed 2.0 MMA Gloves is the superior design and craftsmanship that isn’t offered anywhere else. The layered foam is second to none, and these gloves allow for a tight fit while feeling comfortable and mobile for grappling. Did I mention there are over 5 different color combinations and designs to choose from? 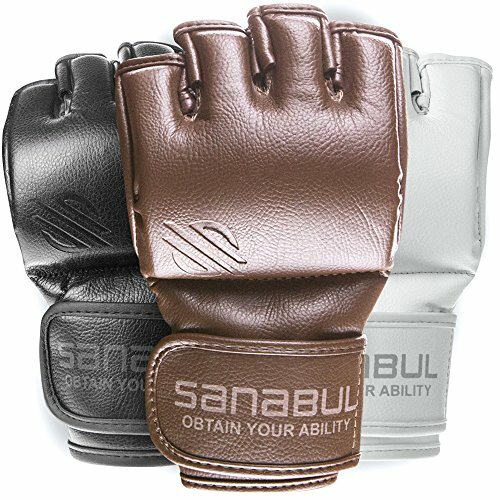 The Sanabul Battle Forged MMA Gloves are great for heavy bag training and also when you want to transition between striking and grappling without having to change gloves. These gloves are technologically advanced and the advanced fit Sanabul offers is second to none. Similar to tradition MMA gloves but with the use of engineered leather, hand-shaped foam, and other modifications to provide added comfort and durability. Anti-microbial premium lining helps prevent the growth of bacteria and fungi. The premium lining also prevents excess moisture from being absorbed into the glove helping extend the lifespan of the glove. The velcro closure system allows you to easily put on MMA gloves even while wearing hand wraps underneath. These MMA gloves are great for heavy bag training. If you don’t have MMA gloves or prefer not to wear them, the next best option is training with hand wraps. Hand wraps will protect your hands and wrists to a certain extent, mostly giving you the stability to support your wrist and forearm. Hand wraps typically won’t fully protect your knuckles when training on the heavy bag so that’s something that should be considered before throwing the first punch. Heavy bag training with hand wraps should only be performed at most once or twice a week. As with everything, it’s important to start out slow and understand the risk factors involved with training with minimal gear. Punching the heavy bag with hand wraps is a great training technique for professional boxers who want to strengthen their knuckles in an all natural way. I have a detailed guide available on ‘Do You Need to Wear Hand Wraps‘ which is perfect for understanding the importance of hand wraps for MMA, Boxing, and Muay Thai. 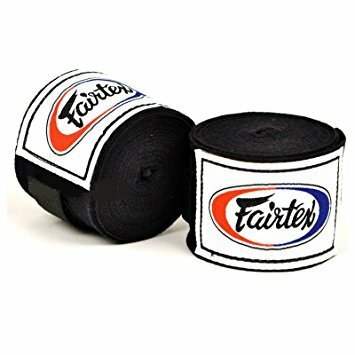 I highly recommend Fairtex hand wraps if you’re a Muay Thai or MMA fighter. I have a few sets of these hand wraps and they are one of the softest hand wraps available on the market. They also have the most color options available and they look great on your hands when punching. Wearing traditional hand wraps like these are how people use to protect their hands so why not strengthen them the old fashion way? I recommend these hand wraps if you’re a Boxer, Muay Thai, or MMA Fighter. 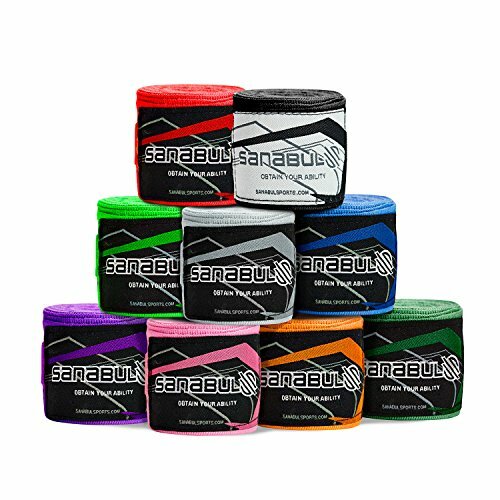 The Sanabul handwraps are inexpensive and hold a great value. They also have over 7 different color combinations to choose from so you could potentially use a different color for every day of the week you train. The only downside is trying to wash traditional hand wraps, be very careful when placing too many hand wraps into the washing machine because you may spend hours attempting to untangle them. These hand wraps are great when you’re looking for a quick training session and don’t have the time to use traditional hand wraps. I personally have never used inner glove hand wraps myself, however, many people at my MMA gym use them and absolutely love them. My personal opinion on them is that I would rather use MMA gloves than inner hand wraps, although MMA gloves are the more expensive alternative. Although it’s always recommended that you wear hand wraps whenever you’re wearing a pair of Boxing or MMA gloves, it’s also beneficial to train bare-knuckled for strengthening purposes. I don’t recommend training bare-knuckled unless you’re advanced with your striking and know how to throw a proper punch. Hand wraps and MMA gloves give you some sort of protection when training, however, at the end of the day if you’re ever encountered with a self-defense situation on the street you won’t have this type of protection available. I only recommend heavy bag training bare-knuckled a few times a month at most. I also recommend you only use less than half of your typical punching power when hitting the heavy bag barehanded. Hitting a heavy bag barehanded is easily the most dangerous training method for strengthening the bones and muscles in your hand and wrist area. If you do decide to train barehanded on the heavy bag please be careful and start out slow. Can Punching a Heavy Bag Injure your Hands? When you think about MMA, Boxing, or Muay Thai, you also think about hand striking. If you really think about the force absorbed when you throw a punch at an opponent or any object for that matter (such as a heavy bag), then you can understand why having the most protection for your hands is beneficial. 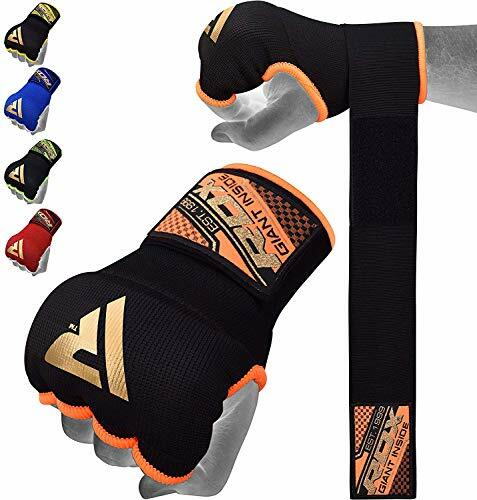 In Boxing, the only attack you have is with your hands, so it shouldn’t be a surprise that hand wraps are always recommended by boxing trainers and professionals. In MMA however, moves such as hammer fists, back fists, and even elbows are usually legal moves. No matter if you wear the best hand wraps and heaviest boxing gloves, there is always a risk of injuring your hands when training on a heavy bag. The hand is formed of 27 small bones, all of which take a huge amount of shock with each hit. Tight and correctly sized hand wraps hold everything in place and reduce a lot of risk for bones to break or fracture by giving them support. If you choose to train without any type of hand protection then I highly recommend you start out slow and learn how to properly punch before training with more serious methods.